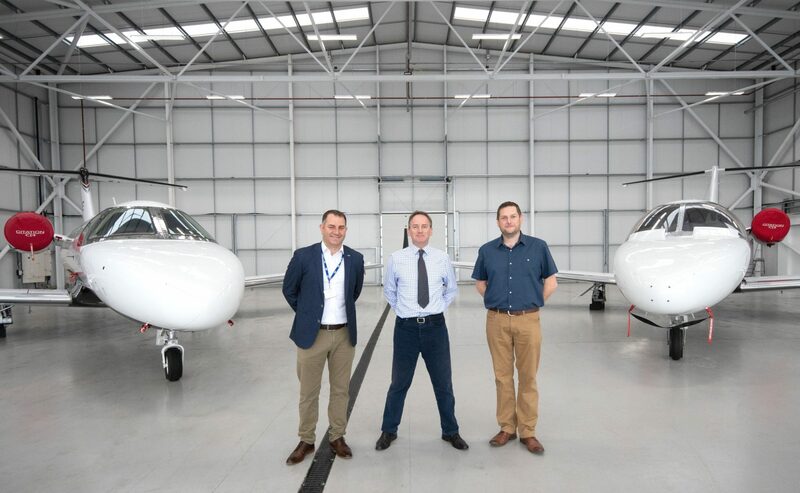 In the Hangar at London Oxford Airport with Principals of JMI, (Left) Ed Griffith and (Right) Neil Plumb with Head of Business Development, London Oxford Airport, James Dillon-Godfray (Centre). London Oxford Airport is wholly owned by the Reuben Brothers. Reuben Brothers’ investment activities include private equity, real estate ownership and development. Businesses include shopping centres, data centres, race courses, public houses, hotels, shipping and media. London Oxford Airport is the sister to The London Heliport, London’s only CAA licensed heliport. The London Heliport is a 22-minute helicopter ride from London Oxford Airport. 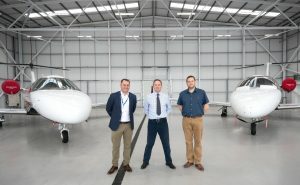 London Oxford Airport has been one of the fastest growing airports for private business aviation in the United Kingdom over the last ten years.